John Bellamy Foster is editor of Monthly Review and professor of sociology at the University of Oregon. He is the author of Naked Imperialism (Monthly Review Press, 2006), among numerous other works. Fred Magdoff is professor emeritus of plant and soil science at the University of Vermont in Burlington, adjunct professor of crops and soils at Cornell University, and a director of the Monthly Review Foundation. This article is the final chapter in John Bellamy Foster and Fred Magdoff’s book, The Great Financial Crisis: Causes and Consequences (Monthly Review Press, January 2009). But, you may ask, won’t the powers that be step into the breach again and abort the crisis before it gets a chance to run its course? Yes, certainly. That, by now, is standard operating procedure, and it cannot be excluded that it will succeed in the same ambiguous sense that it did after the 1987 stock market crash. If so, we will have the whole process to go through again on a more elevated and more precarious level. But sooner or later, next time or further down the road, it will not succeed…We will then be in a new situation as unprecedented as the conditions from which it will have emerged. ↩ James K. Galbraith, The Predator State (New York: The Free Press, 2008), 48. ↩ “Congressional Leaders Were Stunned by Warnings,” New York Times, September 19, 2008. ↩ Manas Chakravarty and Mobis Philipose, “Liquidity Trap: Fear of Failure,” Livemint.com, October 11, 2008; John Maynard Keynes, The General Theory of Employment, Interest and Money (London: Macmillan, 1973), 174. ↩ “Drama Behind a $250 Billion Banking Deal,” New York Times, October 15, 2008. ↩ “Government’s Leap into Banking Has its Perils,” New York Times, October 18, 2008. ↩ “Single-Family Homes in U.S. Fall to a 26-Year Low,” Bloomberg.net, October 17, 2008; “Economic Fears Reignite Market Slump,” Wall Street Journal, October 16, 2008. ↩ See “Depression of 2008: Are We Heading Back to the 1930s,” London Times, October 5, 2008. 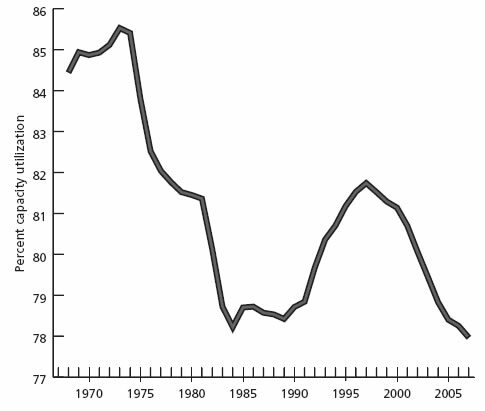 On the Japanese stagnation, see Paul Burkett and Martin Hart-Landsberg, “The Economic Crisis In Japan,” Critical Asian Studies 35, no. 3 (2003): 339–72. ↩ “The U.S. is Said to Be Urging New Mergers in Banking,” New York Times, October 21, 2008. ↩ “CDO Cuts Show $1 Trillion Corporate-Debt Bets Toxic,” Bloomberg.net, October 22, 2008. ↩ “Banks are Likely to Hold Tight to Bailout Money,” New York Times, October 17, 2008. ↩ Hyman Minsky, Can “It” Happen Again? (New York: M. E. Sharpe, 1982), vii–xxiv; “Hard Lessons to be Learnt from a Minsky Moment,” Financial Times, September 18, 2008; Riccardo Bellofiore and Joseph Halevi, “A Minsky Moment? : The Subprime Crisis and the New Capitalism,” in C. Gnos and L. P. Rochon, Credit, Money and Macroeconomic Policy: A Post-Keynesian Approach (Cheltenham: Edward Elgar, forthcoming). For Magdoff and Sweezy’s views on Minsky see The End of Prosperity (New York: Monthly Review Press, 1977), 133–36. ↩ Irving Fisher, “The Debt-Deflation Theory of Great Depressions,” Econometrica, no. 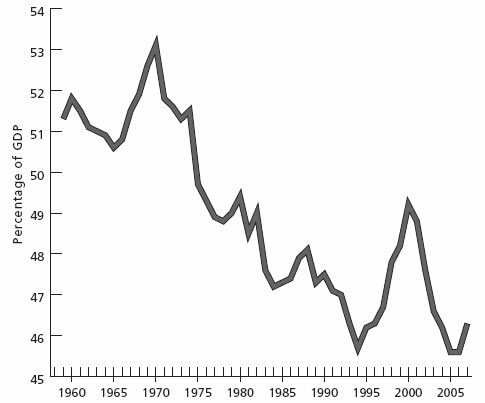 4 (October 1933): 344; Paul Krugman, “The Power of De,” New York Times, September 8, 2008. ↩ “Amid Pressing Problems the Threat of Deflation Looms,” Wall Street Journal, October 18, 2008; “A Monetary Malaise,” Economist, October 11–17, 2008, 24. ↩ Ben S. Bernanke, “Deflation: Making Sure ‘It’ Doesn’t Happen Here,” National Economists Club, Washington, D.C., November 21, 2002, http://www.federalreserve.gov. ↩ Ethan S. Harris, Ben Bernanke’s Fed (Boston, Massachusetts: Harvard University Press, 2008), 2, 173; Milton Friedman, The Optimum Quantity of Money and Other Essays (Chicago: Aldine Publishing, 1969), 4–14. ↩ Ben S. Bernanke, Essays on the Great Depression (Princeton: Princeton University Press, 2000), 5; Milton Friedman and Anna Schwartz, A Monetary History of the United States, 1867–1960 (Princeton: Princeton University Press, 1963). For more realistic views of the Great Depression, taking into account the real economy, as well as monetary factors, and viewing it from the standpoint of the stagnation of investment, which above all characterized the Depression see Michael A. Bernstein, The Great Depression (Cambridge: Cambridge University Press, 1987), and Richard B. DuBoff, Accumulation and Power (New York: M.E. Sharpe, 1989), 84–92. On classic theories of the Great Depression see William A. Stoneman, A History of the Economic Analysis of the Great Depression in America (New York: Garland Publishing, 1979). ↩ Ben S. Bernanke, “Money, Gold, and the Great Depression,” H. Parker Willis Lecture in Economic Policy, Washington and Lee University, Lexington, Virginia, March 2, 2004, http://www.federalreserve.gov. ↩ Ben S. Bernanke, “Some Thoughts on Monetary Policy in Japan,” Japan Society of Monetary Economics, Tokyo, May 31, 2003, http://www.federalreserve.gov. ↩ Bernanke, Essays on the Great Depression, 43. ↩ "On Milton Friedman’s Ninetieth Birthday,” Conference to Honor Milton Friedman, University of Chicago, November 8, 2002. Ironically, Anna Schwartz, now 91, indicated in an interview for the Wall Street Journal that the Fed under Bernanke was fighting the last war, failing to perceive that the issue was uncertainty about solvency of the banks, not a question of liquidity as in the lead-up to the Great Depression. “Bernanke is Fighting the Last War: Interview of Anna Schwartz,” Wall Street Journal, October 18, 2008. ↩ Ben S. Bernanke, “Asset Prices and Monetary Policy,” speech to the New York Chapter of the National Association for Business Economics, New York, N.Y., October 15, 2002, http://www.federalreserve.gov; Harris, Ben Bernanke’s Fed, 147–58. ↩ Ben S. Bernanke, “The Economic Outlook,” October 25, 2005; quoted in Robert Shiller, The Subprime Option (Princeton: Princeton University Press, 2008), 40. ↩ Magdoff and Sweezy, The Irreversible Crisis, 76; Burkett and Hart-Landsberg, “The Economic Crisis in Japan,” 347, 354–56, 36–66; Paul Krugman, “Its Baaack: Japan’s Slump and the Return of the Liquidity Trap,” Brookings Papers on Economic Activity, no. 2 (1998), 141–42, 174–78; Michael M. Hutchinson and Frank Westermann, eds., Japan’s Great Stagnation (Cambridge, Massachusetts: MIT Press, 2006). ↩ Magdoff and Sweezy, The Irreversible Crisis, 51. ↩ Magdoff and Sweezy, The End of Prosperity, 136; Hyman Minsky, John Maynard Keynes (New York, Columbia University Press, 1975), 164. ↩ Greenspan quoted, New York Times, October 9, 2008. See also John Bellamy Foster, Harry Magodff, and Robert W. McChesney, “The New Economy: Myth and Reality,” Monthly Review 52, no. 11 (April 2001), 1–15. ↩ Manas Chakravarty, “A Turning Point in the Global Economic System,” Livemint.com, September 17, 2008. ↩ See John Bellamy Foster, Naked Imperialism (New York: Monthly Review Press, 2006), 45–50. ↩ Jim Reid, “A Trillion-Dollar Mean Reversion?,” Deutsche Bank, July 15, 2008. ↩ See Paul A. Baran and Paul M. Sweezy, Monopoly Capital (New York: Monthly Review Press, 1966); Harry Magdoff and Paul M. Sweezy, The Dynamics of U.S. Capitalism (New York: Monthly Review Press, 1972), The Deepening Crisis of U.S. Capitalism (New York: Monthly Review Press, 1981), and Stagnation and the Financial Explosion (New York: Monthly Review Press, 1987). ↩ See Michael Yates, Longer Hours, Fewer Jobs (New York: Monthly Review Press, 1994); Michael Perelman, The Confiscation of American Prosperity (New York: Palgrave Macmillan, 2007. ↩ Correspondents of the New York Times, Class Matters (New York: Times Books, 2005), 186; Edward N. Wolff, ed., International Perspectives on Household Wealth (Cheltenham: Edward Elgar, 2006), 112–15. 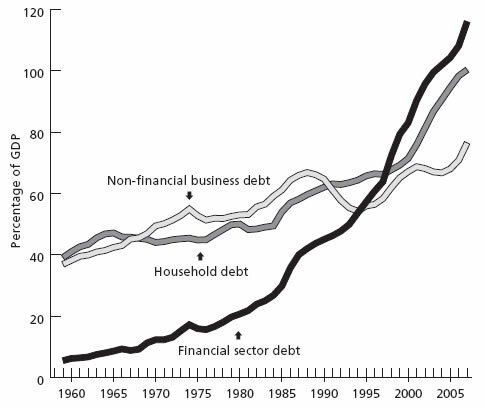 ↩ For a class breakdown of household debt see John Bellamy Foster, “The Household Debt Bubble,” chapter 1 in John Bellamy Foster and Fred Magdoff, The Great Financial Crisis: Causes and Consequences (New York: Monthly Review Press, 2009). ↩ Ben S. Bernanke, “The Global Savings Glut and the U.S. Current Account Deficit,” Sandridge Lecture, Virginia Association of Economics, Richmond Virginia, March 10, 2005, http://www.federalreserve.gov. ↩ Steingrímur J. Stigfússon, “On the Financial Crisis of Iceland,” MRzine.org, October 20, 2008; “Iceland in a Precarious Position,” New York Times, October 8, 2008; “Iceland Scrambles for Cash,” Wall Street Journal, October 6, 2008. 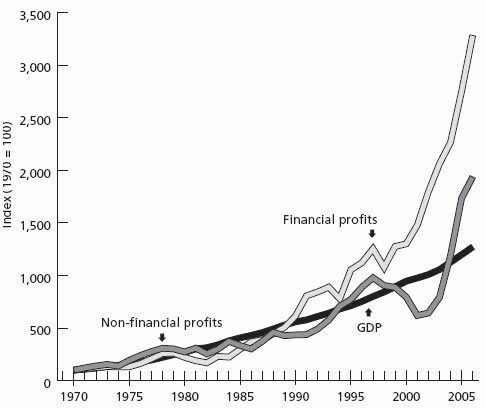 ↩ See Edward J. Nell, Growth, Profits and Prosperity (Cambridge: Cambridge University Press, 1980), 19–28. ↩ Karl Marx, Capital, vol. 1 (New York: Vintage, 1976), 96–98. ↩ See Crawford B. Macpherson, Democratic Theory (Oxford: Oxford University Press, 1973), 195–203. ↩ Friedman and Schwartz, A Monetary History of the United States, 419. ↩ Harris, Ben Bernanke’s Fed, 147–58. ↩ See John Bellamy Foster, Hannah Holleman, and Robert W. McChesney, “The U.S. Imperial Triangle and Military Spending,” Monthly Review 60, no. 5 (October 2008): 1–19. ↩ For a discussion of the simultaneous stagnation of the economy and of economics since the 1970s see Perelman, The Confiscation of American Prosperity. See also E. Ray Canterbery, A Brief History of Economics (River Edge, NJ: World Scientific Publishing, 2001), 417–26. ↩ Robert Kuttner, Obama’s Challenge (White River Junction, Vermont: Chelsea Green, 2008), 27. ↩ Baran and Sweezy, Monopoly Capital, 159, 161; Economic Report of the President, 2008, 224, 250. ↩ Harry Magdoff and Paul M. Sweezy, “The Crisis and the Responsibility of the Left,” Monthly Review 39, no. 2 (June 1987): 1–5. ↩ See Keynes, The General Theory of Employment, Interest, and Money, 376, and Essays in Persuasion (New York: Harcourt Brace and Co., 1932), 372; Paul M. Sweezy, “The Triumph of Financial Capital,” Monthly Review 46, no. 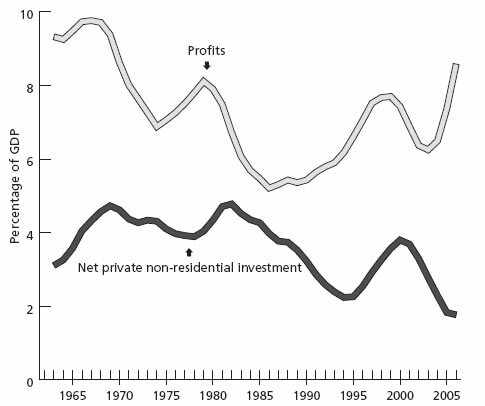 2 (June 1994): 1–11; John Bellamy Foster, “The End of Rational Capitalism,” Monthly Review 56, no. 10 (March 2005): 1–13. ↩ In this respect, it is necessary, we believe, to go beyond liberal economics, and to strive for a ruthless critique of everything existing. Even a relatively progressive liberal economist, such as Paul Krugman, recent winner of the Bank of Sweden’s prize for economics in honor of Alfred Nobel, makes it clear that what makes him a mainstream thinker, and hence a member of the club at the top of society, is his strong commitment to capitalism and “free markets” and his disdain of socialism—proudly proclaiming that “just a few years ago…one magazine even devoted a cover story to an attack on me for my pro-capitalist views.” Paul Krugman, The Great Unraveling (New York: W. W. Norton, 2004), xxxvi. In this context, see Harry Magdoff, John Bellamy Foster, and Robert W. McChesney, “A Prizefighter for Capitalism: Paul Krugman vs. the Quebec Protestors,” Monthly Review 53, no. 2 (June 2001): 1–5.